My seatmate asked what was bringing me to Chicago. “I’m going to run the marathon,” I informed him. Perhaps the noise of the plane’s engine had garbled his words. “Are you asking me the distance of a marathon?” I inquired, not sure if I had heard him correctly. He raised his eyebrow and nodded his head in affirmation. I informed the good man that a marathon is 26.2 miles. “Whew…that’s a long way,” he chirped. “Is that fast?” he asked. I just nodded my head, figuring the subject wasn’t worth pursuing at this point. It’s even worse if you tell someone you ran an ultra. Derived from Latin, the prefix ultra means “beyond.” Accordingly, an ultramarathon is anything beyond a marathon (i.e., anything farther than 26.2 miles). But the ways in which the term is misused these days is almost comical. We have ultraclear sunglasses. If they’re beyond clear, what are they? Telescopic? X-ray? How do you get beyond clear? What about ultraclean dishwashing detergent? If your dishes are beyond clean, are they sterilized? Do they pop out of the dishwasher hermetically sealed? Maybe they’re super-duper extraordinarily spotless? Then there’s the ultrasensitive condom. If your condom is beyond sensitive, is it…well, let’s not go there. The point being, nobody knows the true meaning of the prefix ultra. But tell someone you just ran 50 or 100 miles and the meaning is instantly grasped. People can identify with that distance because most don’t even like driving that far. Everybody’s run at some point in their life – at least a couple laps around the track in junior high – and he or she can identify firsthand with the difficulty. Running something like 50 or 100 continuous miles is understandable, despite being largely unimaginable. Many of you reading this can relate to what I’m saying. Others of you may be thinking about running your first ultra. You may have run five or ten marathons in the past, but since Oprah finished a marathon the prestige and mystique has been all but lost (sure, there’s an argument to be made that running a fast marathon is a far greater accomplishment, but the truth of the matter is that few people know the difference between a 2:03 marathon and a 4:00-hour marathon, all they know is that if Oprah did it, it can’t be all that hard). If you haven’t run an ultra, I encourage you to take that step into the unknown. If you want to run, run a mile. If you want to experience a different life, run a marathon. If you want to talk to God, run an ultra. Do it for no other reason than to spare you a long explanation on your next flight. I enjoyed your article tonight. I have just recently heard about “ultrarunning” from a book I picked up in the airport on the way back from my a vacation. This magazine was mentioned in the book so I googled it and came across the website. 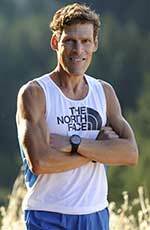 This is the second article I have read, and I am impressed with your position on marathon running, and how its impression on people has really changed. Ultrarunning has really grabbed my attention, and I hope one day that I can join the club of the people who run these incredibly long races. This magazine has really grabbed my enthusiasm about running again, and I am pleased that I was able to find it!